It’s been a week of big name moves in Argentina’s footballing landscape, with three of the deals in particular standing out. On Friday it was confirmed that Diego Buonanotte will move from River Plate to Málaga of the Spanish First Division at the end of the season (he’ll remain at the Núñez club for the duration of the Torneo Clausura). This came the day after the news Gimnasia La Plata fans had been hoping beyond hope for: club legend Guillermo Barros Schelotto, who’s also the most successful player in Boca Juniors’ history, will return to El Lobo. Last but not least, Ariel Ortega completed a six month loan move to All Boys, after signing a new three-year contract with River Plate. Buonanotte’s sale will be a big fillip for River president Daniel Passarella, especially since the club have negotiated for the Enano to stay with them for six months more before he leaves Argentina. Since River needed to bring in funding, the estimated €4 million fee will allow them to hold off a little longer, perhaps, in trying to get a decent fee for Rogelio Funes Mori – for whom Benfica are rumoured to have renewed their interest today. Buonanotte will go to Málaga in the European rather than the Argentine summer, since Passarella wanted the Spaniards to up their offer if they wanted him earlier. The white-and-blue half of La Plata were celebrating an improbable hero’s return as Passarella was thrashing out the details of Buonanotte’s transfer. Guillermo Barros Schelotto, a star of the club from 1991 to 1997, during which time they won the Copa Centenario in 1993 (with El Mellizo – ‘the twin’ – scoring in the final against River) and finished runners-up in the league twice, returns to the club he made his debut for twenty years ago. After moving to Boca Juniors, Barros Schelotto became the most decorated player in Argentine domestic football history, winning 18 league titles. He’s well aware he’s not likely to add to that medal haul with Gimnasia (who have won only one national championship, in 1929), but wanted to ‘come and show my face at the worst point in this club’s history. When I left Gimnasia they were flourishing, and had the potential to make a jump and become one of the big powers in Argentine football… I’ve come back to do what I can to get the club out of the situation they find themselves in.’ Barros Schelotto’s initial contract for Ángel Cappa’s new team is for six months. This is good and bad news for Americans. The good news is that Buonanotte’s recovery from his accident gives us hope that one day Charlie Davies will be able to do the same. Diego wasn’t in the hospital as long as Charlie was, but still, it gives us hope. 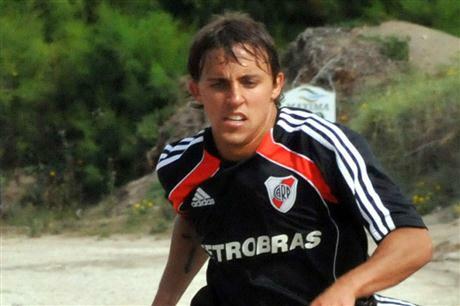 The bad news is that MLS is losing a great talent with Schelotto returning to Argentina. He will be sorely missed.